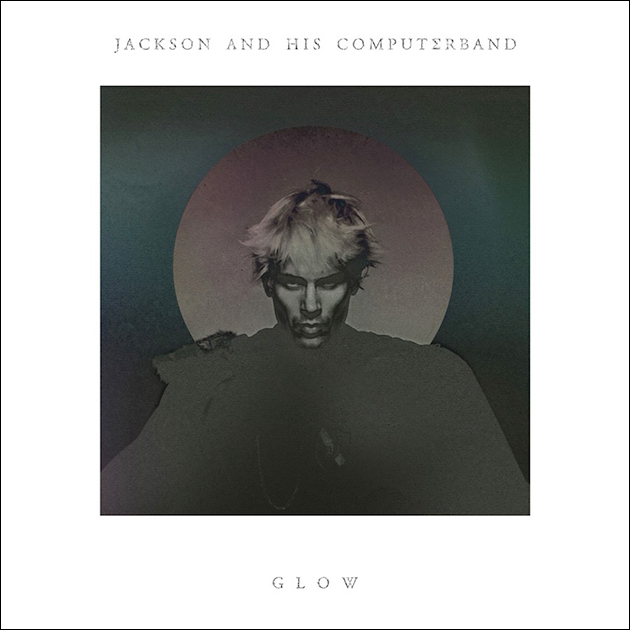 Parisian artist Jackson Fourgeaud returns with his 2nd LP Glow eights after his debut, Jackson and his Computerband's sophomore LP is an eclectic journey. 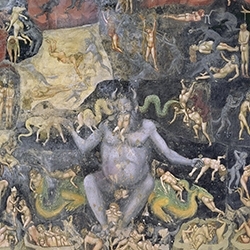 A gothic psychedelic affair full of surprises, turning from melodic pop to electronic atmospherics, dark and mysterious to bright and colourful. 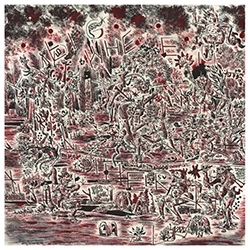 From the acid belching cut-ups on Seal to a fucked-up Beatles wig-out on Dead Living Things, LCD Soundsystem on a psychedelic acid trip on the electro-popper of G.I.Jane to pumping and pulsating electro of Blood Bust, Arp #1 and Pump. There are some similarities New Yorkers Battles specially on tracks Billy, More and Pump. Memory is an epic pop song with menacing undercurrents and whimsical vocals with a rousing chorus. This track Vista is dark-disco that glows with neon sticks and broods with gothic moods, a fine combination of dark and light all at once. Highly Recommended. Zero 7, remember them! Are back with some new material - On My Own has the nice lazy beats we've come to expect from the Downtempo duo, electronic soul of the highest calibre. It's Henry Binns and Sam Hardaker's first single in four years and they sound a little Talking Heads with a house feel here and it features vocals from Danny Pratt (aka Danny Boy). 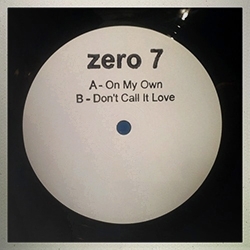 Don't Call It Love on the b-side is also worth checking out - Welcome back, hopefully a new LP in the pipeline too. Icelandic songstress Emilíana Torrini's new album Tookah is out this week, she's had a varied career so far topping the charts with the 2009 song Jungle Drum from Me and Armini LP, she co-wrote Kylie's Slow, sung on Paul Oakenfold's Hold Your Hand, lent her vocals to the Thievery Corporation and performed on Gollum's Song for Peter Jackson's film The Lord of the Rings: The Two Towers. 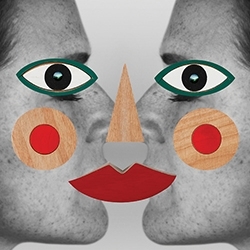 For Tookah Emilíana goes back to her native Iceland to record an electronica, bossa nova pop record. For her seventh LP Torrini produces the kind of easy going pop that Kylie used to put out in her hey day. Speed of Dark is a punchy blast of pure pop brilliance, Torrini's voice sounds better than ever, pure pop of the highest calibre. Recommended. Berlin/DC-based duo Benoit & Sergio last single Bridge So Far is a quality slab of house. But I'm more in love with the bubbling baselines of the flip - $100 Bill, an electro-funk jam that pulsates like the funky strut of previous smash New Ships. "Got a $100 bill in my back pocket and I already forgot that I've got a girlfriend" sings Benjamin "Sergio" Myers. 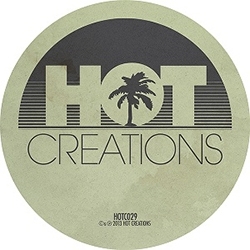 Another quality output from the Hot creations stable - Love it! 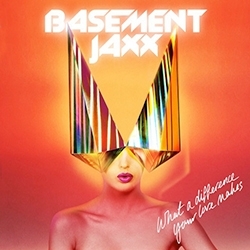 London-based duo Basement Jaxx are storming back with new single What a difference your love makes at the end of this September. 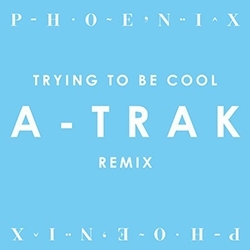 The EP features remixes of the title track by Miguel Campbell and Huxley as well as another jaxx original, Mermaid of Salinas. Doing what Felix Buxton and Simon Ratcliffe do best, happy-go-lucky big party tunes that put a massive smile on your face, what a difference the Jaxx make. So let's raise the bars and our cup to the stars! London Folk trio - Daughter lead by sultry singer Elena Tonra takes on Daft Punk's summer anthem Get Lucky. Casting a darker shade, Daughters sensual emotionally-charged version is a chilled out reverberation of the dance floor filler. 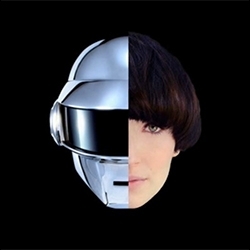 Daughter recorded it before Random Access Memories was released back in April and was well received by fans of Bat for Lashes, Fiest, Cat Power and Poliça etc. I like the Daughters take on it, but even better is the Pretty Pink remix of their version (and there are quite a few other remixes of Daughter version about), Pretty Pink's housed-up edit does the business. 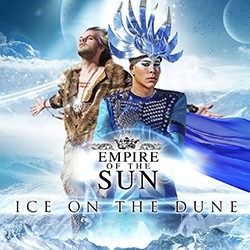 Empire of the Sun have the perfect name, they always manage to release music in time for the summer and following the magnificent award-winning pop-opus, 2008 debut album Walking on a Dream this years album is no different - Ice on the Dune throws up hit after hit and has more catchy hooks than a mile of velcro. It's certainly soundtracked my summer, long drives to the beach and chilled out BBQ's on hot blistering weekends. It's hard to choose one track that would standout as the LP bursts with so many brilliant tracks. It's a kind of guilty pleasure, it's commercial but don't let that put you off, you'll be playing this long after the last days of summer. 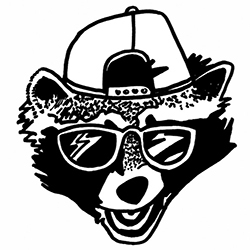 So, I'm well late posting this one up on neoloop, but hey I've been busy enjoying the summer and listening to great music. Highly Recommended. Beautiful Swimmers, the Baltimore duo of Maxmillion Dunbar (AKA: Andrew Field-Pickering) and Ari Goldman released a new album - Son - recently, compiling previous 12" singles and a few new ones of sun-kissed nu-disco grooves. Maxmillion Dunbar has been doing pretty well on his own of late following the successful House of Woo LP. 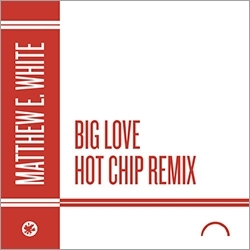 This tune - Big Coast first materialised back in 2010 but still sounds fresh as a daisy in a summer meadow. With the summer coming to an end you can squeeze the last few rays of sunshine out with this LP as your soundtrack, should see you in to the Autumn months nicely. Highly Recommended. Top Tracks: Big Coast, Swimmers Groove, Running Over.